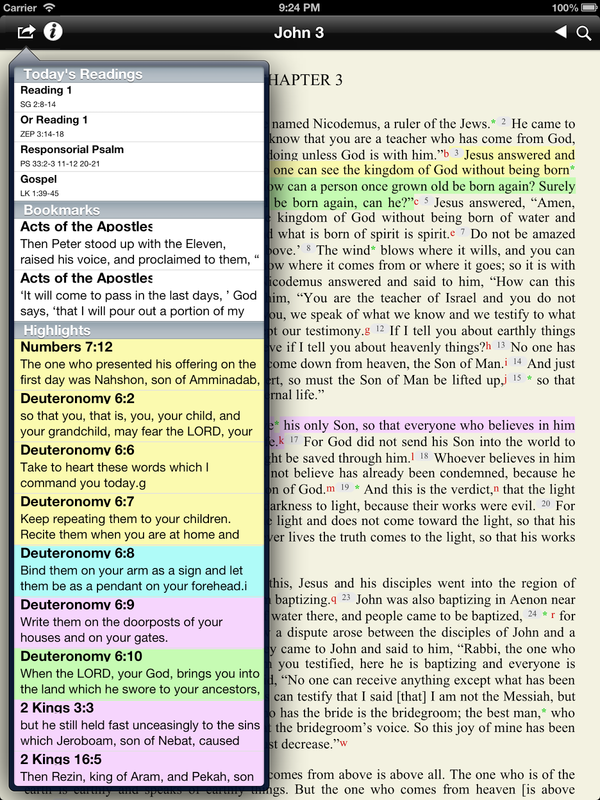 Just added daily readings to my New American Bible Revised Edition iPhone/iPad apps. 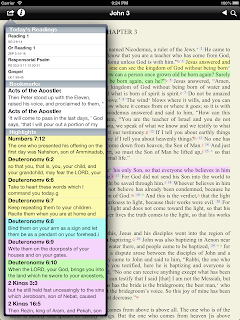 Daily Readings can be found by touching the action button which is located at top left hand corner. Hi, Greg. Awesome app. I look forward to using it. I'm not seeing the daily readings. Is this in a pending release, or is it an option I need to set? Great job! Thanks for the good work! My app just updated with the new feature. Awesome! how can i tell which version of the iPad app I have? I don't see the daily readings. Hi Greg, a good day to you! I have been using your app since 2014, I I like it so much. Thanks for it. I was wondering though, how can I delete the verse history because I don't need it? Also, so I can save space on my memory. Thanks.